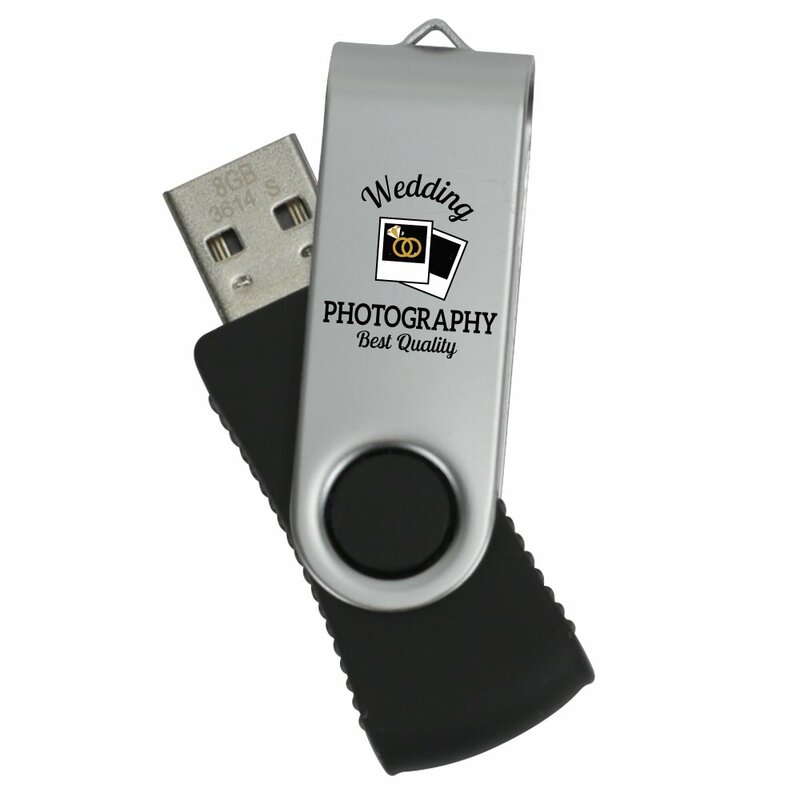 Featuring everything that you loved about our Supreme USB drive, the Supreme Swivel custom USB drive for photographers adds a steel swivel cover to offer additional protection for this beautiful and useful flash drive. 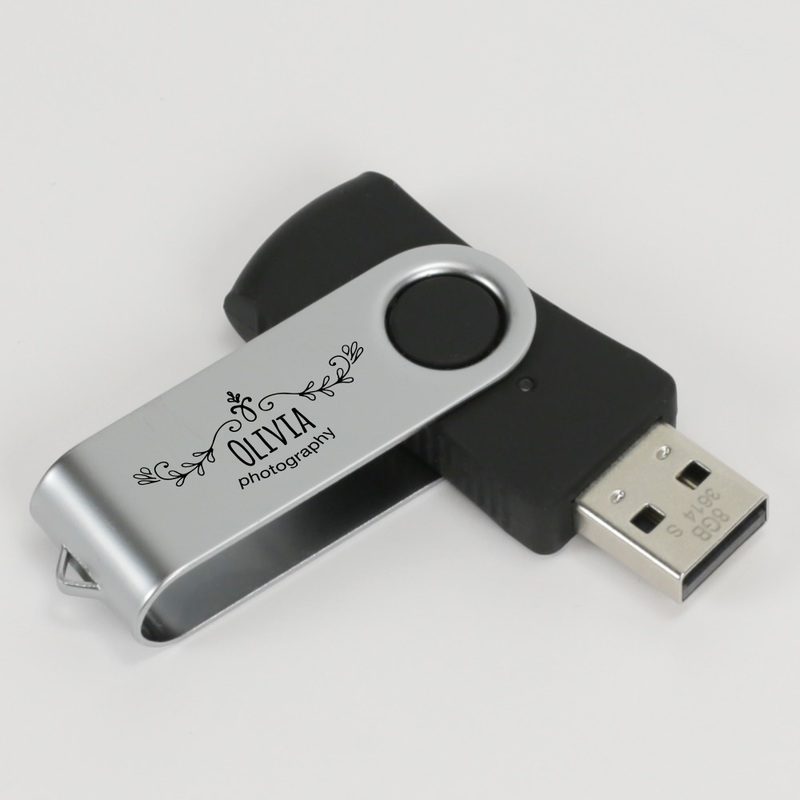 Print your logo, monogram or custom artwork on the steel cover to turn it into a breathtaking promotional item. This textured, colorful, and easy to carry drive is the perfect choice for presenting your photos or promoting your business. 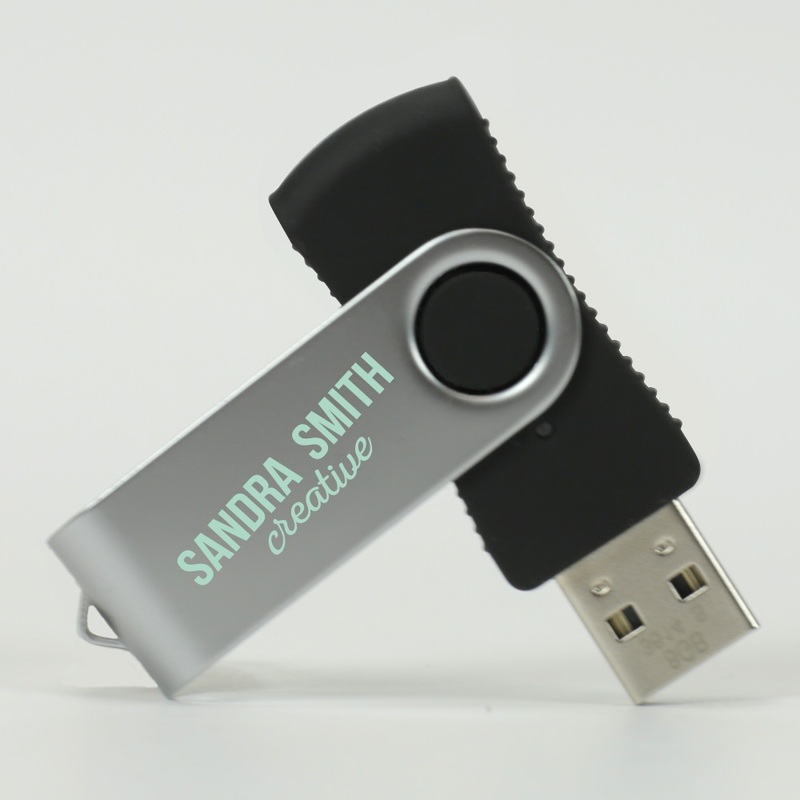 Our Supreme Swivel custom USB drive takes everything that photographers love about our Supreme drive and adds one of our most popular features to it: our 360-degree rotating swivel cover! Made out of protective and highly durable steel, these covers are great for customization. 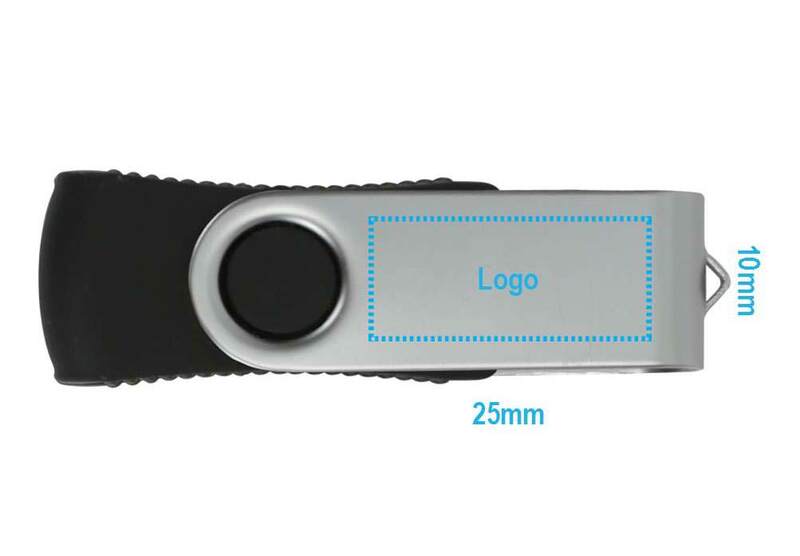 Add your logo to them to turn these beautiful drives into promotional powerhouses. The Supreme Swivel is a capless drive that comes with a key loop for easy transport; attach it to your belt, purse, keyring, or camera bag. The customized Supreme Swivel makes for a perfect promotional drive to hand out at corporate events, weddings, and family photo shoots. 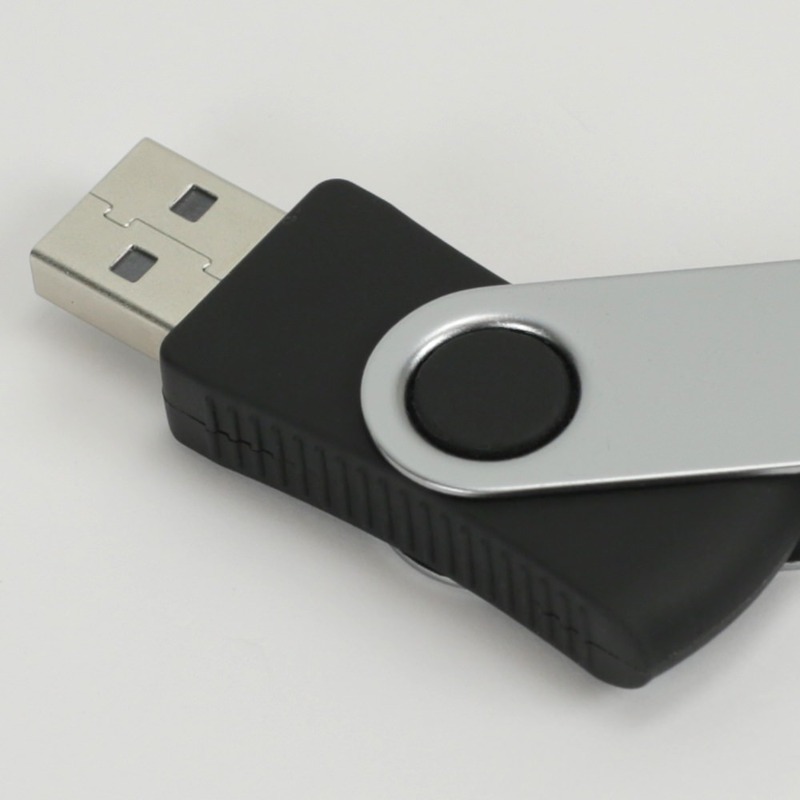 Stand out from the pack with this one of a kind flash drive.